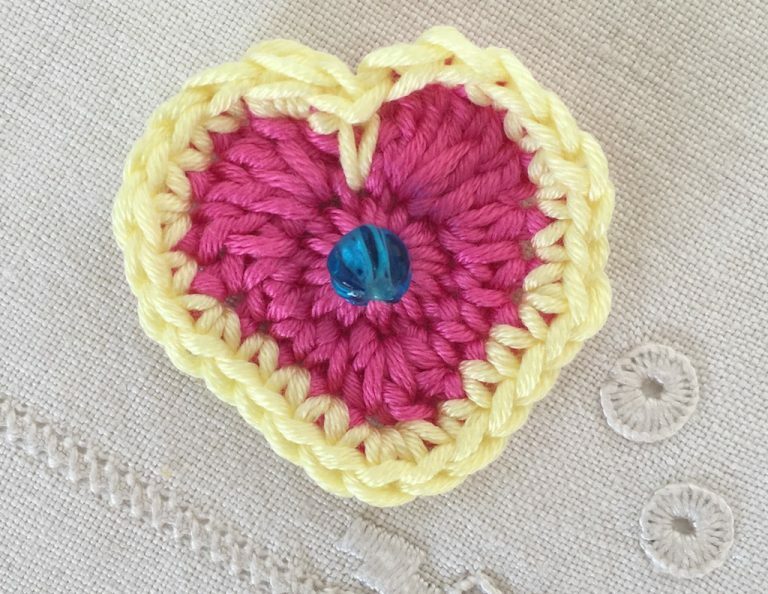 This little crochet heart is quick and easy to make. Why not make them in lots of different colours. This pattern is written using UK terminology. Foundation ring: In main colour and using the magic circle method, work 11dc into the ring and join to top of first st with a ss. First round: 2ch, 3tr in next st, (tr, htr) in next st, htr, 2dc, (htr, tr, htr) in next st, 2dc, htr, (htr, tr) in next st, 3tr in next st, 2ch, ss into starting point. Break off main colour. Second round: join contrast colour, and work 2dc in first st, 2dc, 2dc in next st, dc, 2dc in next st, 3dc, 3dc into next st (this is at the point at the bottom of the heart), 3dc, 2dc in next st, dc, 2dc in next st, 2dc, 2dc in next st, work 1dcb, ss into top of first st to join. Fasten off. 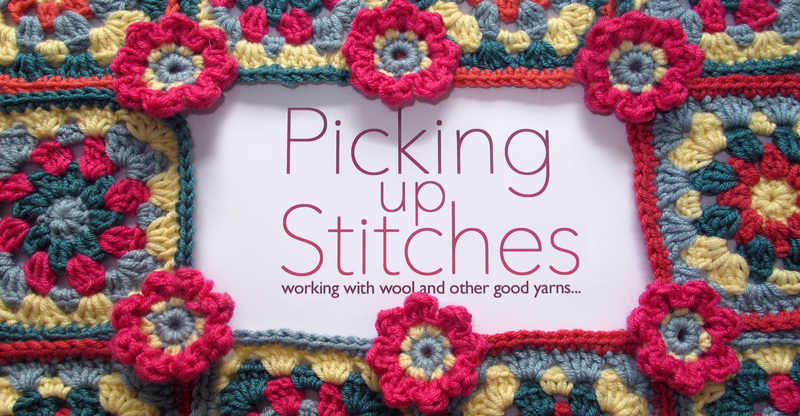 Copyright © 2019 Picking Up Stitches.